IRVING, Texas — Nimesh Jhaveri has joined the Health Mart family of community pharmacies as president. Jhaveri, who has 30 years of hands-on pharmacy experience, started in his new role on October 31. As president, Jhaveri is responsible for developing strategies supporting the goals and success of more than 5,000 Health Mart pharmacies. In his role, Jhaveri will work hand in hand with independently owned Health Mart pharmacies and help them provide quality health care in their local ­communities. 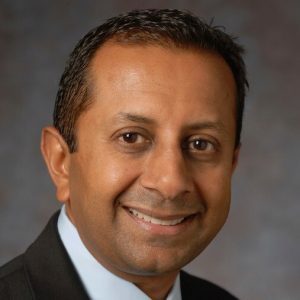 Jhaveri says what lured him to Health Mart from the executive ranks of Walgreens was the challenge to be part of the future of pharmacy practice, noting that Dimos told him he would have the opportunity to positively impact pharmacy and health care for the long term. “And that’s all I needed to hear,” says Jhaveri. Despite changes facing pharmacy, such as declining reimbursements, the increased use of robotics, the shifting health care landscape, and new entrants in the marketplace, community pharmacies remain optimistic about the opportunities ahead. Health Mart pharmacies offer an ideal setting to provide patient care that enables a positive impact on medication adherence, improving patient outcomes and reducing health care costs. Jhaveri understands the challenges and difficulties that pharmacies face in today’s competitive and complex landscape, especially the independents. He also understands how helpful a partner Health Mart can be for independents and how critical a component McKesson is in supporting Health Mart’s mission to help independents thrive. “McKesson is a great arm for Health Mart to execute its vision of providing health care in a more convenient location,” he says. Concerning reimbursement rates, Health Mart not only provides the tools to deal with this challenge but supports pharmacists in practicing at the top of their license. Specifically, Health Mart assists pharmacy owners with DIR (direct and indirect reimbursement) fees by first helping them understand how they are calculated, which allows them to better handle their cash flow and helps them prevent being blind-sided from unexpected crippling charges. Also, Health Mart helps its owners understand that performance and better outcomes are the biggest factors that drive lower DIR fees. The key for independents, in Jhaveri’s view, is to further engage with their customers and patients, as it is those relationships and close community ties that are the most attractive qualities of independents. If independents can do this, Jhaveri adds, the prospect for their long-term success is very positive. Health Mart is also helping its customers in the growing specialty space, which is another way McKesson is strengthening Health Mart’s position. “We have a huge specialty division at McKesson,” he says. “Specialty is a great example of McKesson working hand in hand with us on such things as distribution of limited drugs and training and also in bringing specialty to retail, which is a pilot program Health Mart is currently working on and plans to launch soon. In addition to listening to and learning from customers and patients, Jhaveri will meet with owners, pharmacists and technicians at McKesson ideaShare in Orlando, Fla., from June 26 to June 30. Health Mart pharmacies will come together with industry experts to make meaningful connections and share ideas for building stronger ­businesses. Looking forward, Jhaveri doesn’t see Health Mart’s position leveling off, but rather expanding as it continues to support its customers. “The value of Health Mart speaks for itself,” he says.